Crowds close to 100,000, fans as passionate as you’ll see anywhere in the world, and a deserving winner in the shape of a dynamic young team full of potential. This was the 2018 AFF Suzuki Cup, a ten-team International tournament held every two years in Southeast Asia since 1996. In the latest edition, Vietnam won their second title and first since 2008, after overcoming Malaysia 3-2 on aggregate in the final. The Malaysians had created the upset of the tournament to reach the final, having prevailed on away goals in a two-legged semi-final against defending champions Thailand. The Thais had been the region’s most dominant force since the introduction of the competition, winning five titles, including in 2014 and 2016. However, the Malayan Tigers put an end to their reign after twice coming from behind to secure a 2-2 draw in front of close to 50,000 fans in Bangkok. 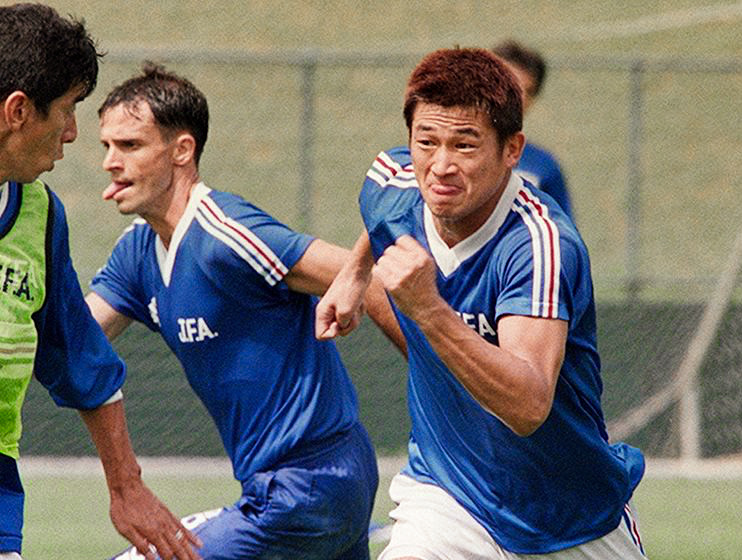 The ASEAN Football Federation (AFF) consists of 12 countries, ten of which come from with the Association of Southeast Asian Nations – a body that promotes cooperation between the member countries. Timor Leste and Australia are the two other countries that make up the AFF, though the Socceroos have yet to compete in the biennial event since joining the AFF in 2013. Southeast Asia is not a hotbed of footballing talent. In a footballing sense, it is perhaps better known as a stop-off point for European giants on their travels of the globe, with a keen audience that worships the likes of Manchester United, Liverpool and Barcelona. Such devotion to leagues thousands of miles away has no doubt played a part in the slow development of the club game, and the professional leagues have seen fluctuations in crowds and general levels of interest. However, when it comes to backing the national teams, the passion is unrivalled, making for a spectacle that should receive more global recognition. The event is on a relatively small scale, with just 11 teams currently eligible to qualify for the ten-team tournament. In 2018, the unlucky loser was Brunei, who lost in a playoff against Timor Leste for the final remaining spot. A new dynamic was introduced last year as, rather than having one or two host countries for the group stage, the nations in the two five-team groups played each other home or away for a place in the semis. 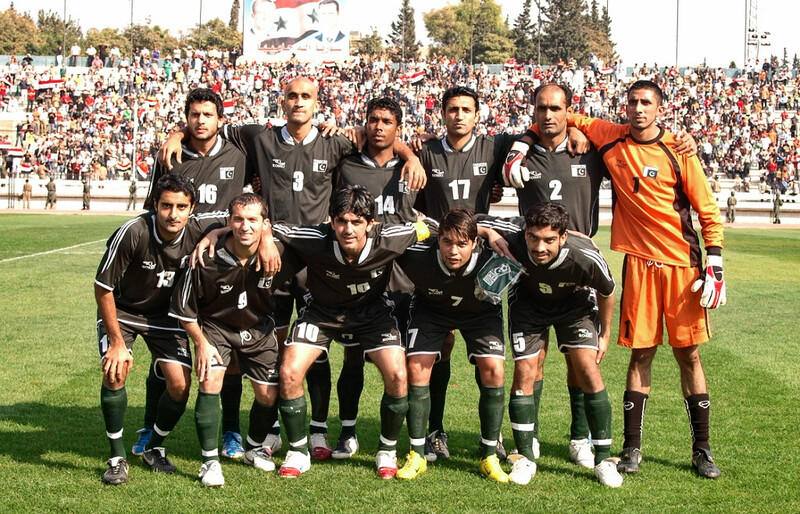 Previously, one country hosted one or both groups, with the format changing to home and away legs for the semis. The new requirement to play two games at home and two away in the group stage arguably made for a better spectacle, despite concerns over the fairness of the draw. For example, Indonesia would certainly have fancied themselves against Thailand at home but were drawn away and were soundly beaten 4-2. Thailand, in turn, would’ve been expected to dismiss the challenge of the Philippines in Bangkok but struggled to a 1-1 draw on a difficult pitch in Bacolod. In some ways, this system is a leveller as the host country no longer has a clear advantage, though there is an element of the luck of the draw in who plays where. Putting aside concerns over the logistics and potentially skewed draw, there is no doubt that the new format is a hit with fans who get the opportunity to see their teams in action at least twice, hopefully more. It is doubtful that you would get anywhere near 34,250 spectators going to see Cambodia against Malaysia if the game were played in Indonesia or the Philippines, while 30,000 for Myanmar vs Vietnam would not happen in Singapore. However, it is Malaysia that truly excels when it comes to bringing in the crowds. For a country of just over 30 million, it certainly punches above its weight. For their final and decisive group game at home to Myanmar, the Bukit Jalil National Stadium was almost filled to its 87,000 capacity. Sadly, not every country can claim such an enthusiastic fan base, with Laos boasting a population of approximately seven million and Timor Leste home to just over a million. Unsurprisingly, the crowds for Laos are not a match for most of their neighbours while Timor Leste couldn’t even play their matches on home turf last year as their stadium didn’t meet the required standards. Indonesia’s dissatisfaction with its ruling body and the poor form of its players were behind disappointing crowds in 2018, but this is a country with huge potential and where club attendances can hit 40,000 to 50,000 for big games. The outlier is the Philippines, a nation whose football team has improved significantly in the last decade but still struggles to get the support of a population that is far more interested in basketball. Just 5,489 fans, many of them Vietnamese, made it to the home leg of their semi-final last year, while almost 40,000 attended the return in Vietnam. This was despite the eye-catching appointment of Sven-Göran Eriksson as head coach just weeks before the tournament began. In general, however, the fans bring colour and a carnival atmosphere to most matches and the local rivalries are generally friendly, with the exception of occasional incidents. When Vietnam won big matches, fans dressed in red flooded the streets of Hanoi in celebrations enjoyed by all but those stuck in traffic wanting to get home. Malaysia’s “ultras” travelled in numbers and brought the party elsewhere, with their presence in Bangkok creating a memorable atmosphere as their side overcame the odds to reach the final. Of course, the Malaysian fans had already made their presence felt in the home leg as a capacity crowd at the Bukit Jalil cheered them on. In the first leg of the final, however, there was a dangerously large crowd that most felt was in excess of 100,000 – more than 10,000 above capacity. Many Southeast Asian nations’ lax attitude to health and safety and law enforcement created a dangerous situation, and many fans with genuine tickets were furious that their seats had been taken by those who had got in by other means. This is certainly something to address as the region develops. Malaysia gamely fought back from 2-0 down to draw 2-2 and leave the title in the balance ahead of the return leg. 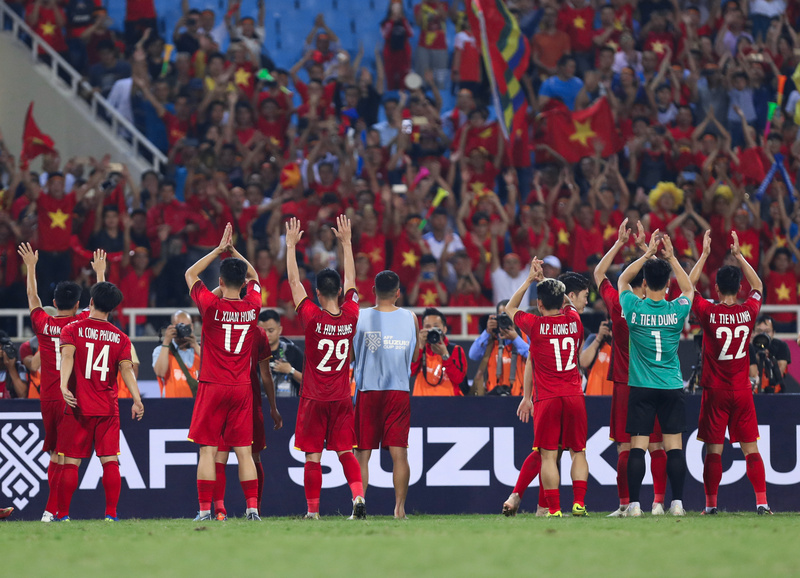 However, Vietnam had proved from early in the tournament to be the most impressive unit, with the core of their team coming from the under-23 side that reached the final of the AFC Under-23 Championships in January 2019 before making the last four of the Asian Games in August. Following Thailand’s years of dominance, Vietnam’s young side look well placed to embark on their own era as the top team in the region. Twenty-one-year-old attacking midfielder Nguyen Quang Hai is one of those expected to go onto bigger and better things, with the nation’s academy system bearing fruit as they attempt to keep ahead of their rivals. While improving the standard of football in the region is important, it could also be the biggest threat to the ongoing appeal of the AFF Cup. Much of the tournament’s success is down to the fact that all the competing countries are likely to have their players available due to the (mostly) synchronised calendars in the region. This year, however, saw some high-profile absences due to several players now plying their trade overseas and the tournament being spread over five weeks, all of which were outside the FIFA calendar. Cardiff City goalkeeper Neil Etheridge travelled to hook up with the Philippines squad but played in just one group game before heading back across the world and resuming his Premier League duties. Thailand were significantly weakened in the defence of their title as they were missing their four best players. Three of them, including star playmaker Chanathip Songkrasin, play in Japan, while one is in Belgium. Head coach Milovan Rajevac decided it wasn’t worth calling them up if they weren’t going to be available for more than one or two games. Although the Asian Cup is covered by FIFA dates, there is still a battle for the timely release of many Europe-Asian players as their clubs try to negotiate a compromise. There seems zero possibility that FIFA would suggest that players have to be released for the AFF Cup. Nevertheless, a situation in which several star players from various countries are unavailable may be some way off. Even in the absence of their four best players in 2018, Thailand came within a missed penalty of the final and their fans still came in decent numbers. Vietnam’s players celebrated their 2018 success wildly, demonstrating how much it means to the players, and the street parties spoke from themselves in terms of how the fans feel. Realistically, the likes of Vietnam and Thailand will be unable to compete to win the AFC Asian Cup for the next 15 years at least, and qualification for the World Cup remains an ambition rather than an expectation. The rest of Southeast Asia is even further behind on the road to becoming competitive outside the region. This goes some way to explaining the local appeal of the AFF Cup. It is an opportunity for several countries to compete in international competition as relative equals, with three or four countries out of 10 having a realistic chance of winning. Four countries have lifted the trophy in the tournament’s short history, with Indonesia yet to be successful despite making it to five finals. The Philippines have made it to the semi-finals in four of the last five editions, demonstrating the vast improvements that they have made, while Myanmar have the talent to become a stronger force in years to come. Laos, Cambodia, Timor Leste and Brunei remain somewhat on the fringes and, as yet, have been unable to make an impact. This is mainly down to population size for the latter two, though there have also been issues with the administration of the game and footballing infrastructure as well as corruption. But every tournament has its makeweights and for these countries it still represents an important opportunity to be part of competitive football at senior level. It could take several generations or continued expansion of tournament numbers to absurd levels to allow them the chance to take their place at a major international tournament. For now, Southeast Asia should relish the AFF Cup. 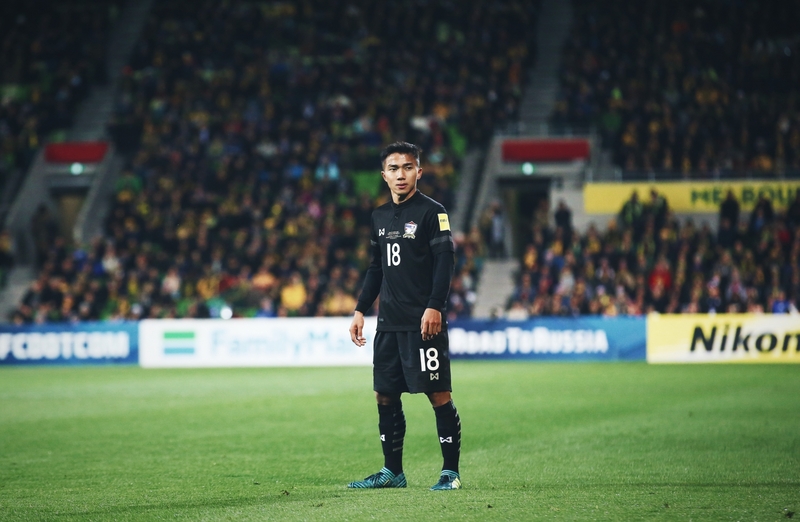 It has provided a stage for Chanathip and Quang Hai and both have gone on to impress at the 2019 AFC Asian Cup. The wider world should also take note. With several Thai players now holding down a first-team place at clubs outside the region, there is clearly talent to be uncovered. With a willingness to take a risk and adapt elsewhere, some of Vietnam’s star players will surely follow in the near future. The AFF Cup may not have the prestige of the biggest events in the world football calendar, but it continues to provide fierce competition, passionate fans and big crowds. 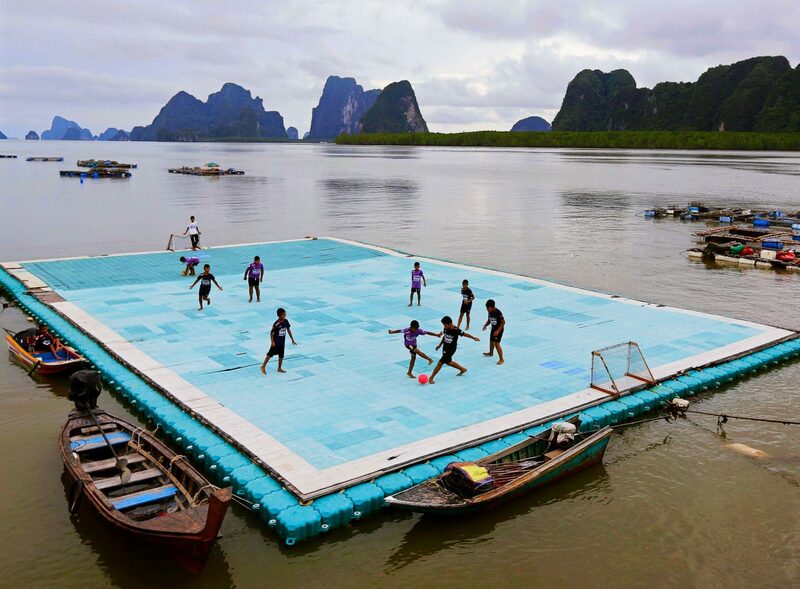 It may be some time before any of its participants can reach the World Cup, but maybe we’ll soon see the world come to Southeast Asia. With better infrastructure and administration, this could become a reality, and a World Cup in the region would be an incredible spectacle.